Let’s play Yay/Boo/Yawn and see what wins. We start with a jail break in Camelot of the Recent Past. Evil King Arthur put up protections against Merlin but he didn’t count on Belle and her amazing ability to Book. (Yay +1) She finds Merlin just the spell he needs to free Lancelot and Merida. 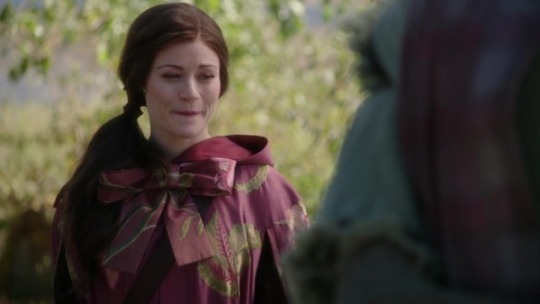 Belle and Merlin make a good pair, let’s ship it. Regina tells the group Emma let it slip they freed Merlin back in Camelot (direct communication! Yay +1). 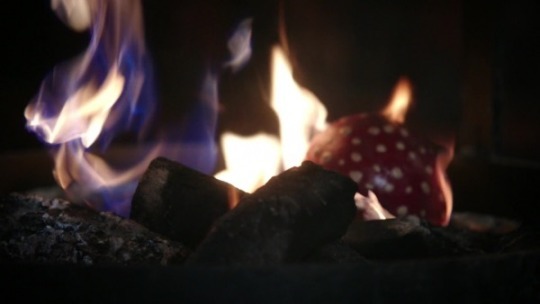 Snowing are confused and Hook is angry but Regina has a plan – they have the magic mushroom so all they need is someone Merlin chose to chat with him (plot device magical item: Yawn +1). David suggests his shady bestie Arthur (who the audience already knows is bad and even David already knows is bad but has forgotten due to plot device memory loss: Yawn +1) but Belle thinks it’s silly to trust two strangers to answer their magical and/or Dark One related questions when Rumple’s right there waiting to be rescued. The other four are like LOL NO which is sort of hilarious because everyone is usually so all about running to Rumple to fix their problems. Belle accuses them all of hypocrisy and she’s not wrong. 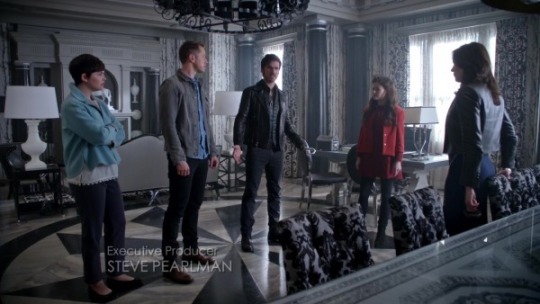 She vows to rescue him herself and storms out (Belle is best: Yay +1). I love her. But of course it’s Rumple. 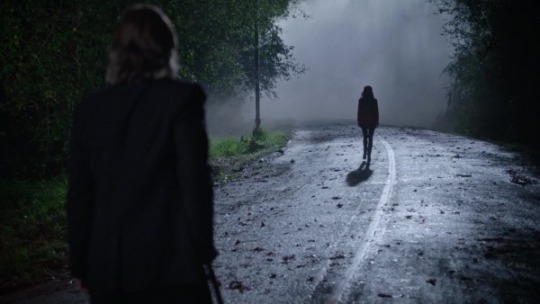 He thanks her for caring about him, guiding him home with her coma side vigil, and then warns her that Emma let him go and is manipulating this whole thing which he knows cuz it’s what he’d do. I can’t rank this scene objectively so we’ll call it a draw. In Camelot of the Recent Past, Merida kidnapped Belle because she’d figured out she was the smartest one in the group (Yay +1). Merida explains the three princes she rejected back in her own movie are back, wanting her hand and therefore her throne and he title that comes with it or else they’ll kill her brothers (this plot doesn’t really make sense with the film? Boo +1). They break into Merida’s Witch’s house (where Merida first got the Bear spell) and use her cauldron to spy on the invaders in her village and Merida decides the only way to save her brothers and get her kingdom back is to become a bear (this plot makes NO SENSE? Why would she jump to that conclusion? With her past? Knowing how it ended for Mordu???? Boo +1). Belle’s like uhhhhh? And so am I. In Storybrooke of the Present, Arthur agrees to use the mushroom to FaceTime Merlin but tells them he has to do it in private cuz Merlin only ever spoke to him alone. David agrees right away (accurate characterization Yay +1). Snow, Hook, and Regina also agree because the plot requires them to trust Arthur (Boo +1). Arthur drops the mushroom into the fire because he is the worst. In Camelot (or wherever Merida is from) of the Recent Past, Belle and Merida come upon the invading princes and I must say they look exactly like the animated film. 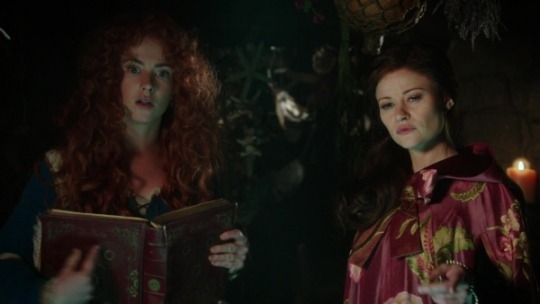 I do love, love, love that Belle is always a part of ‘beast’ stories (Rumple, Ruby, Phillip, now Merida). (Continuity! 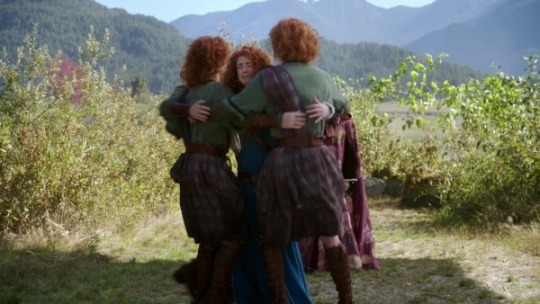 Yay +1) Merida and Belle say their goodbyes and Belle rows back to Camelot. Back in Storybrooke of the Present, Merida catches up with Belle as she’s walking back to town. 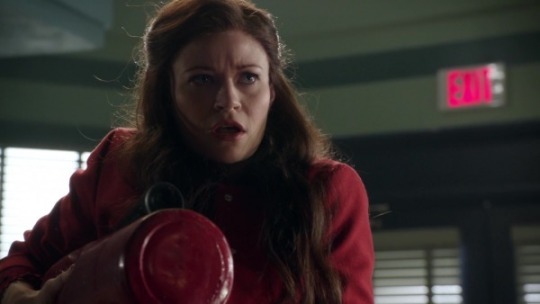 Belle’s like I am having the worst day! 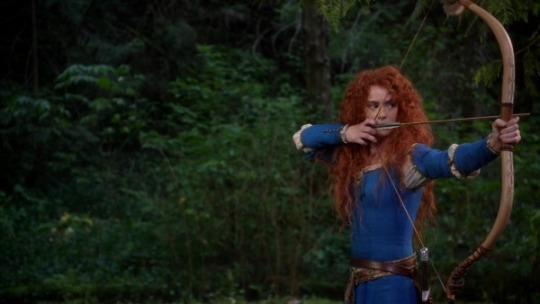 and Merida’s like, you shouldn’t have pushed it and turns into a bear. 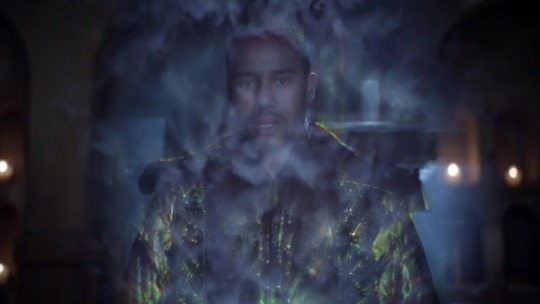 The bear prepares to eat Belle but Rumple reappears and uses the magic dust to return her to human form. Yay Rumple I guess but it was so obvious (Yawn +1). 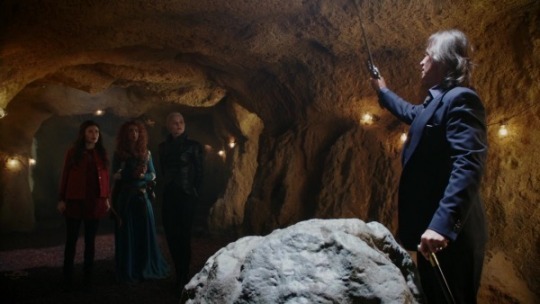 The trio trek back to the cavern in Emma’s basement where Rumple offers to pull the sword in return for Merida’s heart. Emma grumbles but agrees cuz she really wants that sword even tho Merlin told her to leave it alone when she was a kid AND again when she was an adult in Camelot of the Recent Past. Rumple pulls the sword and then threatens her cuz he’s a hero now. The mushroom brain trust realize Arthur lied to them when they find the mushroom in the fire – singed, but not destroyed because magic. Regina realizes they know someone else Merlin chose: the Author aka Henry (Yay +1). Henry drops the mushroom into the potion and they get a recording of Merlin in the smoke (just like the recording of the Witch in Brave). 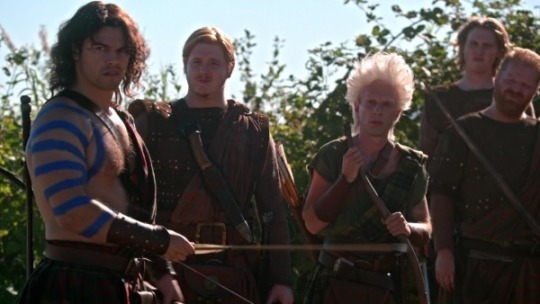 Merlin tells them to find Nimue and watch out because the Dark One – and he’s cut off. Snow asks “What did Emma do to him?” in a terrified voice and we cut to black. But for the third or fourth time in this episode it feels like blatant misdirection. I think Nimue is both Merlin’s lost love and the Dark One. But even if she’s not I’ll be surprised if Emma is the Dark One Merlin is talking about. Could be just me but that ending – on top of this episode – left me feeling manipulated (Boo +1). So surprisingly Yay wins, mainly because of Belle. Belle is best.